Prime Minister Scott Morrison tells SBS Hindi that he believes regional areas of Australia are ready to welcome a large number of migrants. 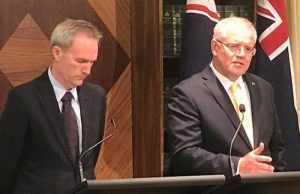 The federal government has outlined the new approach to immigration which includes diverting migration to regional areas. 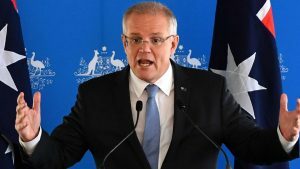 Prime Minister announced the new policy on Wednesday slashing 30,000 places off Australia’s permanent migration cap, from a target of 190,000 places per year to 160,000 places per year for the next four years. According to the immigration minister, there will be 23,000 extra-regional visa spots, which require skilled workers to live and work in regional Australia for three years before they can apply for permanent residency. Mr Morrison emphasised that the announcement is not about being seen to be tough on migration. “It is about managing population growth to protect the quality of life for all Australians including the very large number of Indian Australians who also want to ensure that they are not caught in traffic jams and have access to good quality services and their kids can grow up in a great environment and cities,” he said. Mr Morrison said he believes there are enough jobs for new migrants in regional areas. “There are 47,000 vacancies in regional Australia but what we have announced today is not just in places like Alice Springs. It is cities like Adelaide, in cities like Hobart, cities like Darwin indeed, places like Cairns, Warrnambool, down in Victoria where the mayor there has been very open about the need to attract more migrants to come and settle there. “We have large numbers of job requirements in these areas,” the prime minister told. According to the plan, regional areas are anywhere outside of Sydney, Melbourne, Perth, Brisbane and the Gold Coast. An analysis shows 80 per cent of people who had visas requiring them to live in the regions for two years were still there after five years. The government also announced $15,000 scholarships available to international and Australian students to study at a regional university.